Curriculum: IGCSE (International General Certificate of Secondary Education), IBDP (International Baccalaureate Diploma Programme), International Primary Curriculum. Co-education. 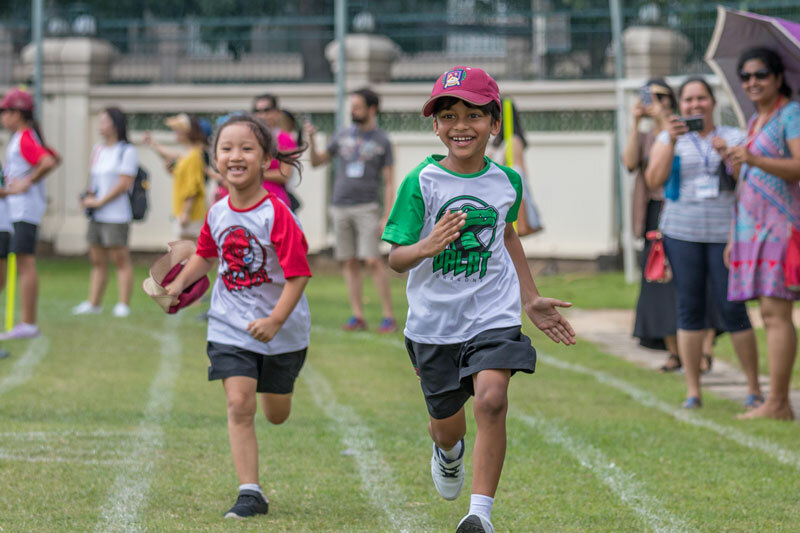 After it’s humble family beginnings in 1997, The British International School (BIS HCMC) has firmly established itself as the international school of choice in Ho Chi Minh City. It is a selective, independent and co-educational day school that provides a diverse international education measured by British standards. Twenty years on, they continue to be at the forefront of education, inspiring an international student body to achieve outstanding academic success in an innovative and dynamic environment. BIS HCMC is the largest international school in Vietnam and operates from three purpose-built, campuses in the residential area of District 2, catering for students from 2 to 18 years of age. All campuses boast first class facilities and are staffed with dedicated, skilled and committed teachers, ensuring the education on offer is amongst the very best available anywhere in the world. The school provides a broad, balanced and differentiated curriculum to meet the wide-ranging needs of its students. At Primary level BIS operates within the framework of the National Curriculum for England and the International Primary Curriculum whilst secondary students are prepared for both the International General Certificate of Secondary Education (IGCSE) and the International Baccalaureate Diploma Programme (IBDP). With these qualifications BIS students have a well-established reputation of progressing into the top universities around the world. Their brand new Early Years and Infant campus has an impressive set of features designed with students in mind. BIS HCMC recognises that in order to achieve the exceptional success that they do, it is essential that the foundations for learning are secure and that the educational journey is personalised. All three campuses have been designed fully in line with international standards and host large libraries, music suites, computer suites, indoor swimming pools, large sports halls and grass playing fields. The school’s youngest children have innovative learning spaces, sensory walkways, crawling spaces, a cycle track, a mini swimming pool, dedicated playgrounds and climbing apparatus. BIS HCMC is a Nord Anglia Education (NAE) school which is the world’s leading premium school’s organisation. NAE has schools located across Asia, Europe, the Middle East, and the Americas. Through the connection to the NAE family of schools, students of BIS HCMC are able to access life changing opportunities with world leading institutions such as Juilliard, MIT, and UNICEF. The school is fully accredited by the prestigious Council of International Schools (CIS) and is a registered centre for Cambridge International Examinations (CIE). It is also a designated IB World School and is recognised by the UK Government as an overseas school. It is also a full participating member of the Federation of British International Schools in Asia (FOBISIA). BIS HCMC has been inspected, approved and rated as ‘Outstanding’ by the British Government as detailed in a British Schools Overseas (BSO) Inspection Report.